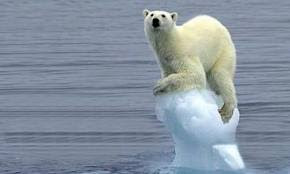 As an island in the North Atlantic the issue of global warming and rising sea levels is a real concern for us. Dozens of communities and thousands of people in Newfoundland reside close to the sea level. We have all seen the Provincial Government's climate change commercials showing iconic land marks under water. A recently published report from the University of Florida that was published in the journal Science provides some insight. The researchers investigated how historically Greenland and Antarctic ice sheets have reacted to global temperature rises and therefore get a glimpse of how current climate change might impact our sea levels. They discovered that when the average global temperature was one degrees Celsius higher than preindustrial sea levels rose between 20-30 feet . To put this in perspective, that this is about the temperature we’re currently at. Environmental groups have been lobbying to ensure that the governments need to take the sea level issues seriously and curb global temperature rises to guard against catastrophic changes.